Who knew polarized glasses would make such a difference? I had no idea until I had to purchase a new pair because I left my sunshades in the car back in Houston!! I would definitely be needing them in sunny San Diego, as I was going to spend an entire week basking in the sun on the beach. So our first stop was CVS to grab a few items and pick up some new shades. I settled on a cute blue pair of Foster Grants, with polarized lenses. They even had a light blue tint, that seemed to make everything brighter. Wow, I was so amazed when I put them on at the beach, I couldn’t believe how great I could see — what a perfect clear, sharp view. They seemed to make everything brighter and more defined, and I loved the blue tint, it made the water and sky so amazingly beautiful. 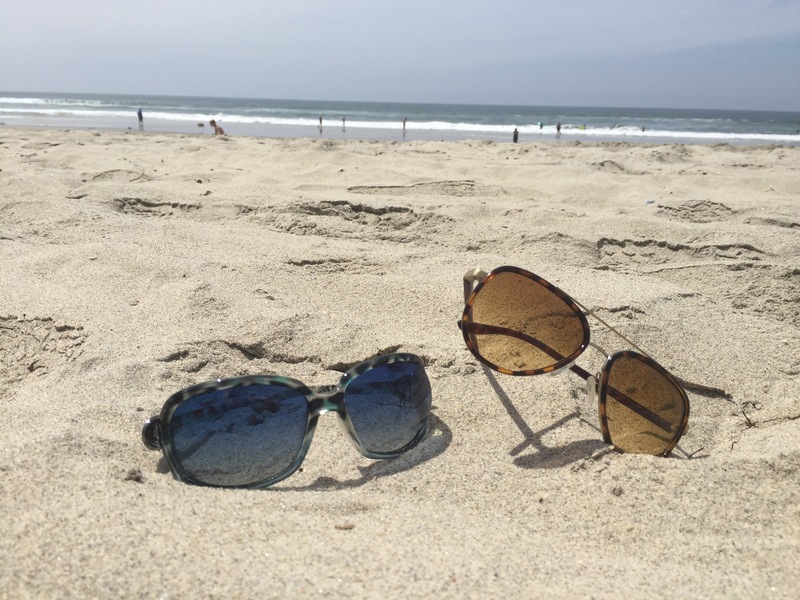 A few days later, a package arrived containing my “old” sunglasses that I really loved, and when I put them on, I was so surprised that I couldn’t see nearly as well, the brown tint made everything look dark and dreary. I had grown to love the “blue” perspective from my new sun shades, they just made me feel happier and more alive. When I looked up the definition of polarized, this is what it said: Polarized lenses contain a special filter that blocks intense reflected light, reducing glare and haze so your eyes are more comfortable and you can see better. The moral of this story is to change your perspective, you may need a new pair of lenses. Sometimes we see our spouse and children through lenses that may be old and dirty, and may need updated to new polarized lenses that allow you to see things more clearly and have better focus. For instance you may see your spouse as someone who has become complacent, boring, and unwilling to try new things, but what if you got some new blue polarized lenses that allowed you to see him through Jesus eyes, with love, compassion and understanding, with grace and mercy. Maybe you could change your perception and see that he may be a great provider, very supportive and protective of you, and start looking for the good qualities and gifts he has, and not from the same old lenses of the past. Matthew 6:22-23 says, “The eye is the lamp of the body. If your eyes are healthy, your whole body will be full of light. But if your eyes are unhealthy, your whole body will be full of darkness. If then the light within you is darkness, how great is that darkness. Sometimes you have to take off your old lenses that are blocking you from seeing the good, and put on new polarized glasses to see people differently and change your perception. This works for everyone, your children, your parents, friends and even coworkers! Try it for yourself and see what happens.